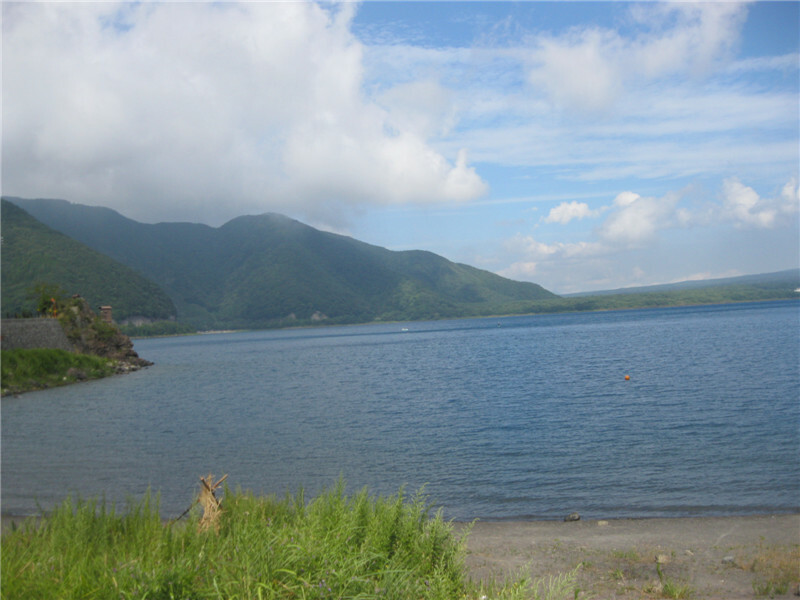 It is Lake Motosu, the last lake for our trip this time. 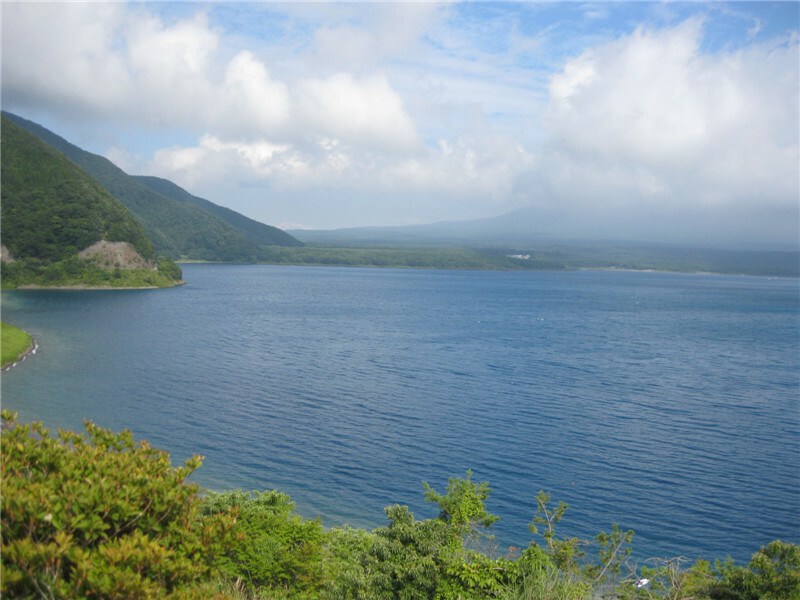 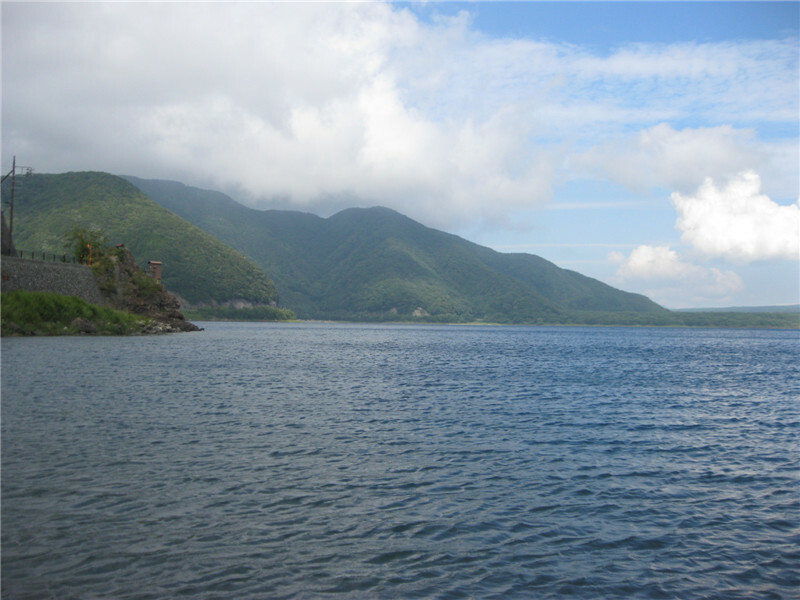 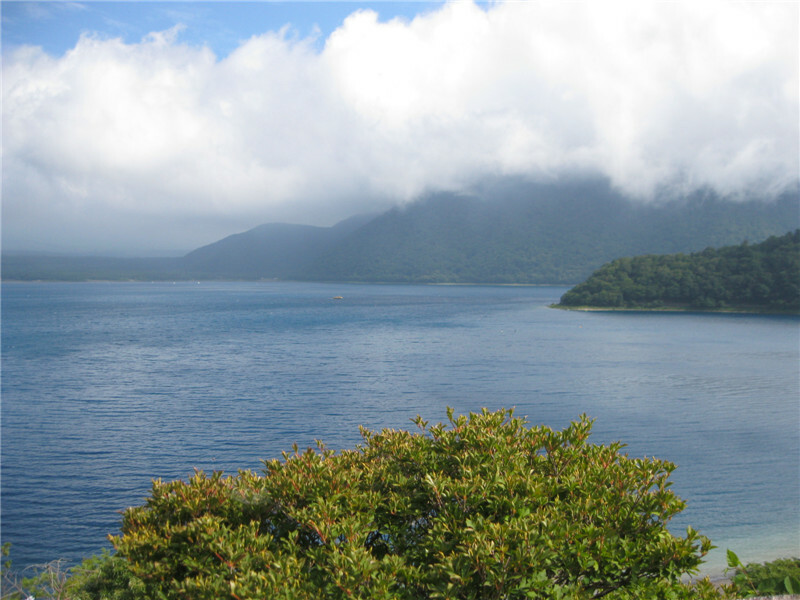 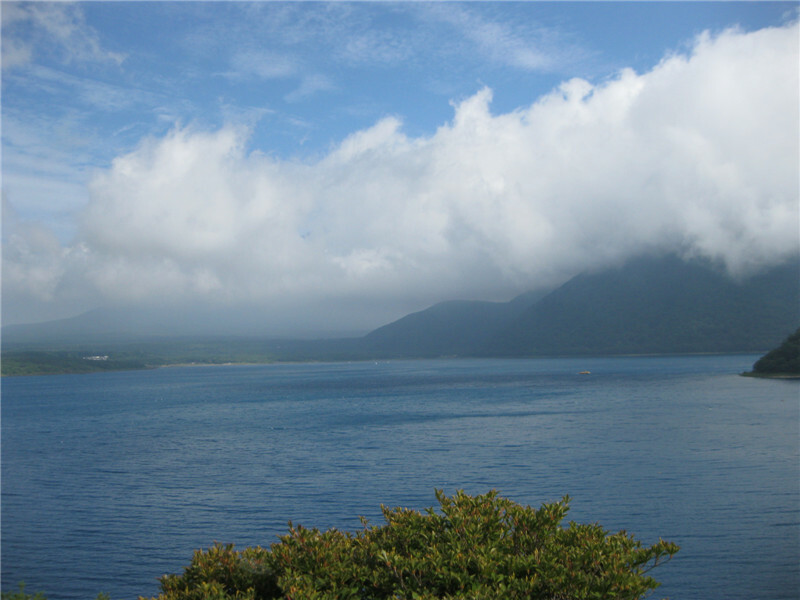 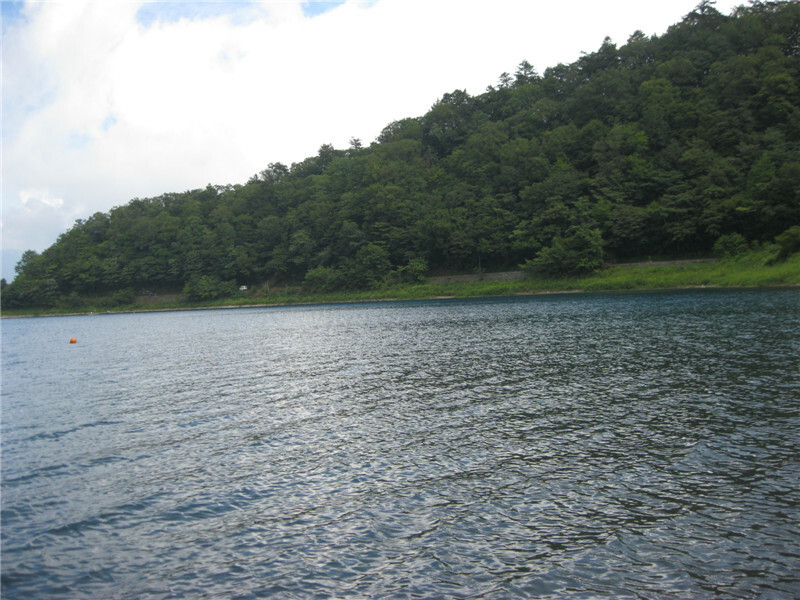 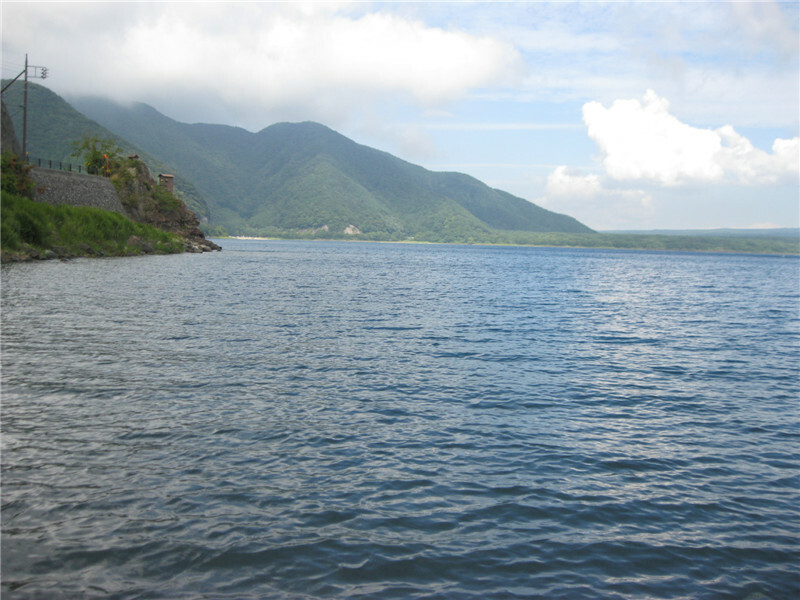 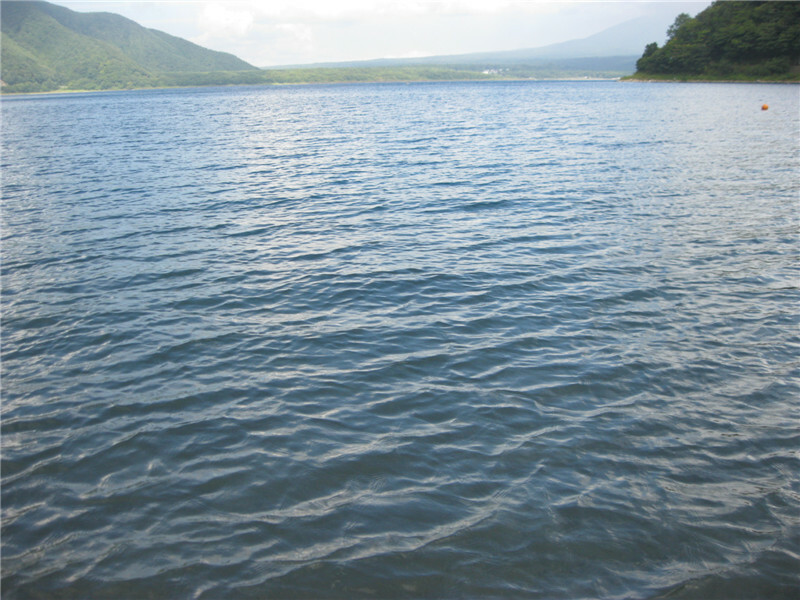 Lake Motosu is the deepest lake from all the five lakes. 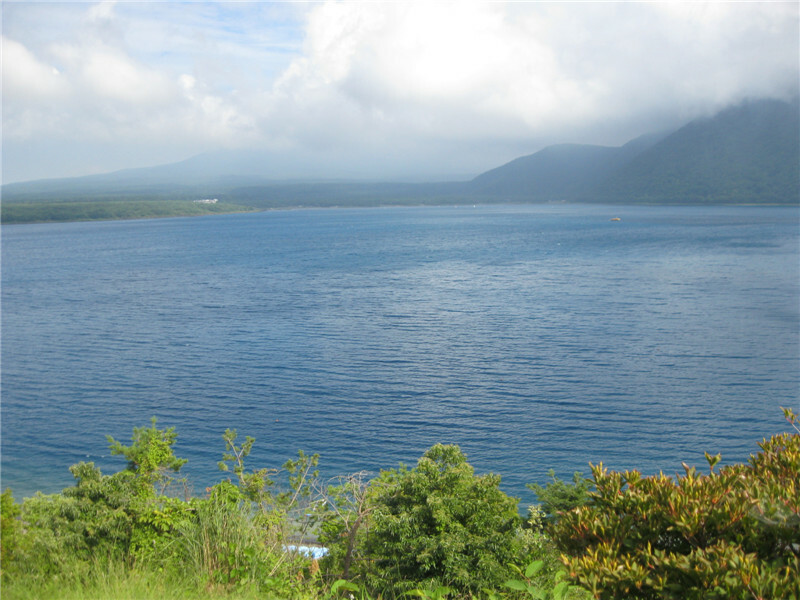 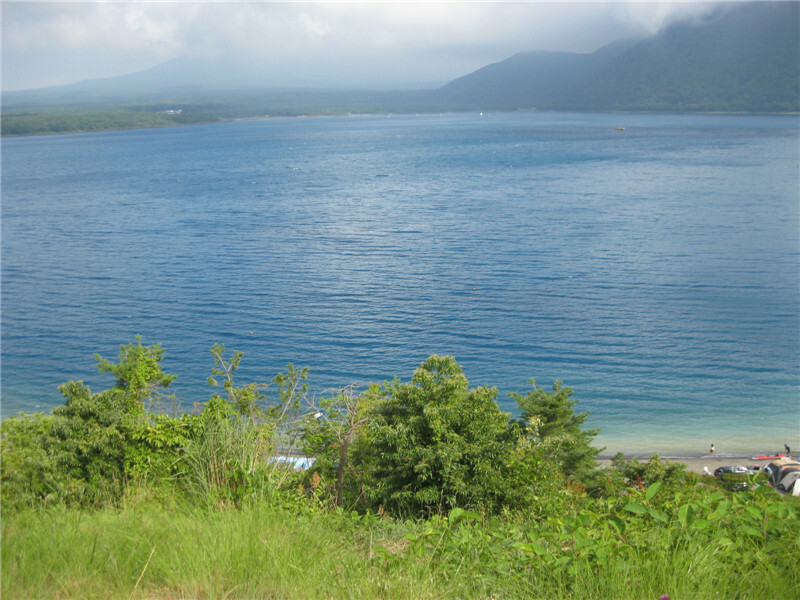 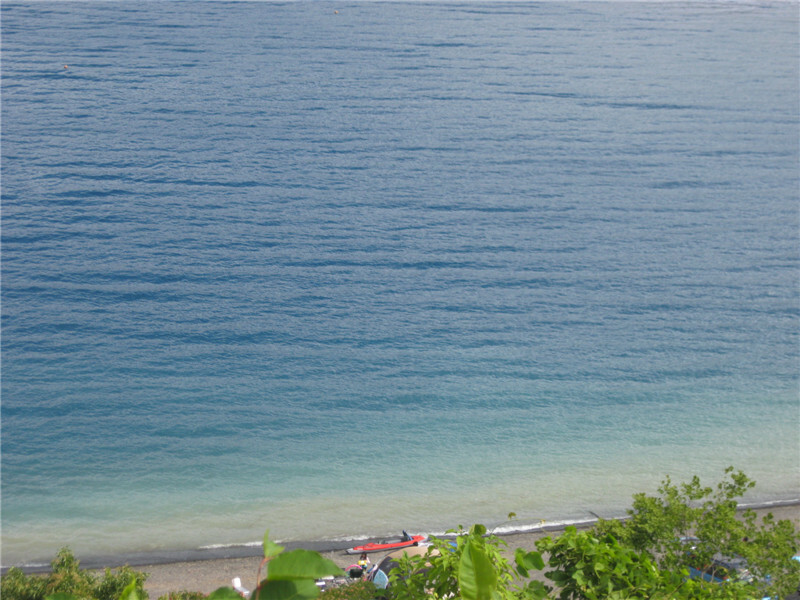 That is why the lake color is azure and very beautiful. 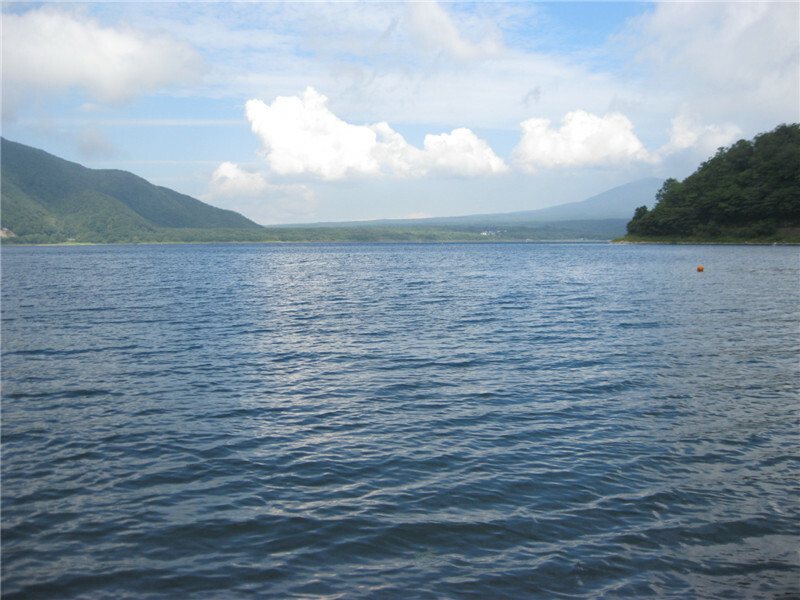 By the way, do you know that Mount Fuji figure is printed on the back side of the thousand-yen bill? 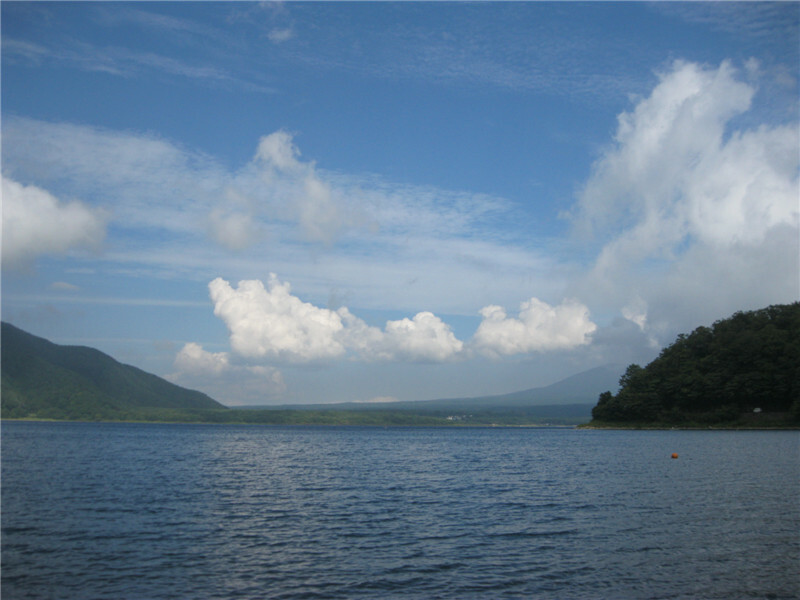 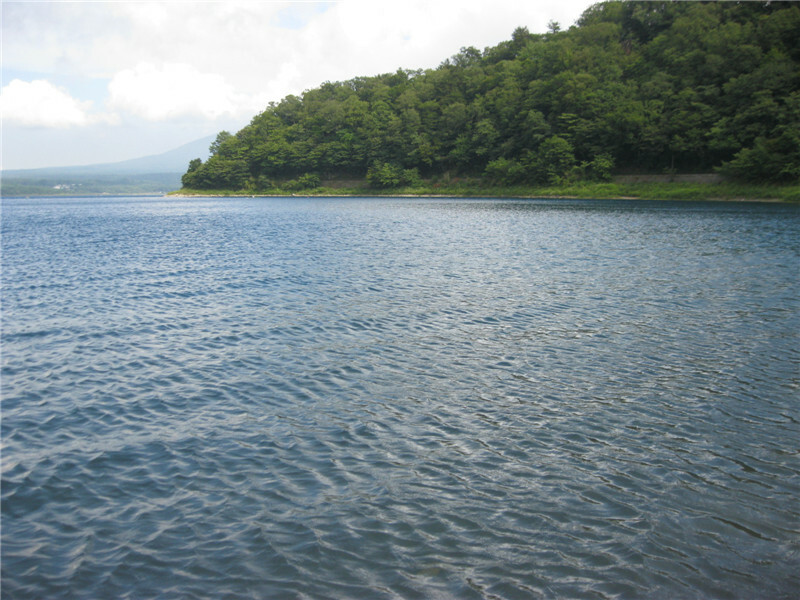 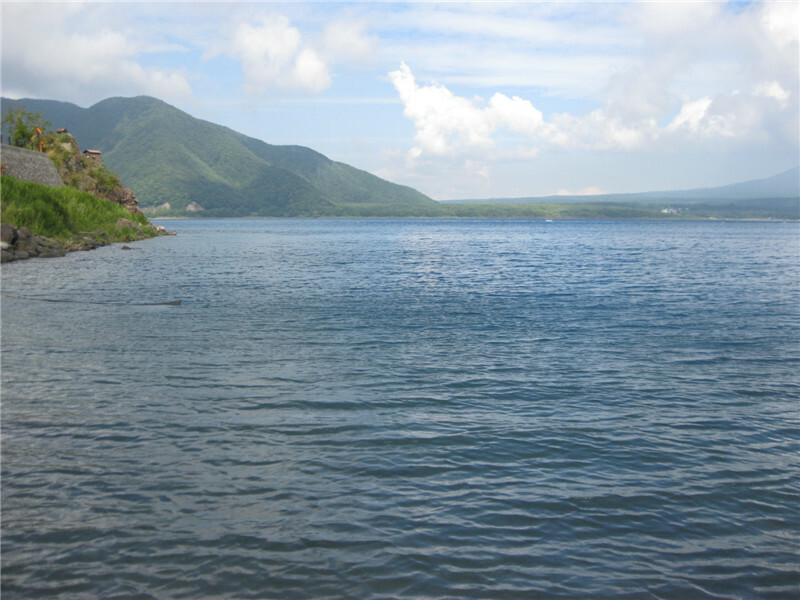 It is said that is the view Mount Fuji from the shore of Lake Motosu. 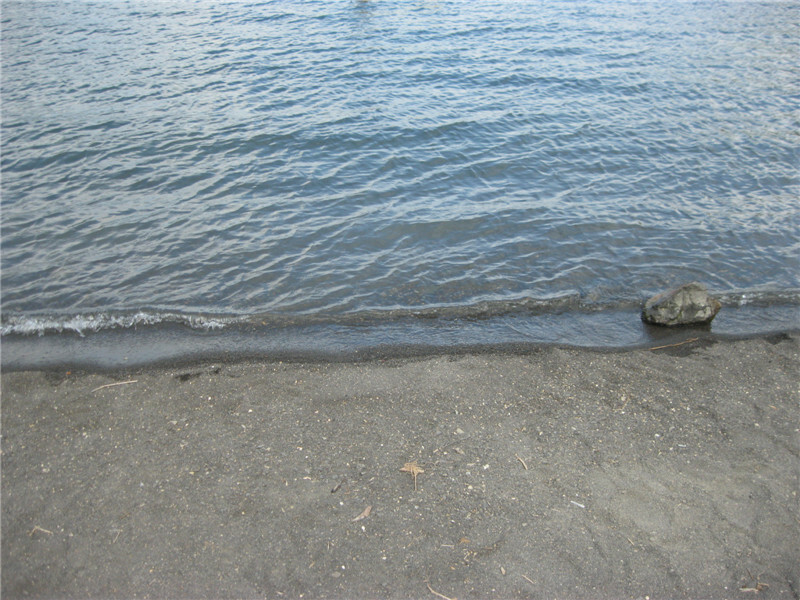 Needless to say, we did not see the figure again! 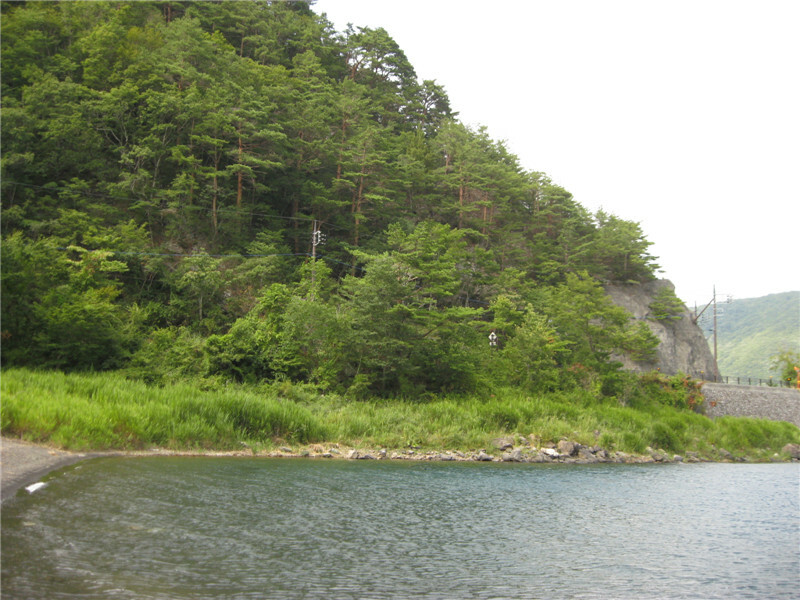 Because of its water depth, swimming or the yachting are a little dangerous, but the shore is very good for camping. 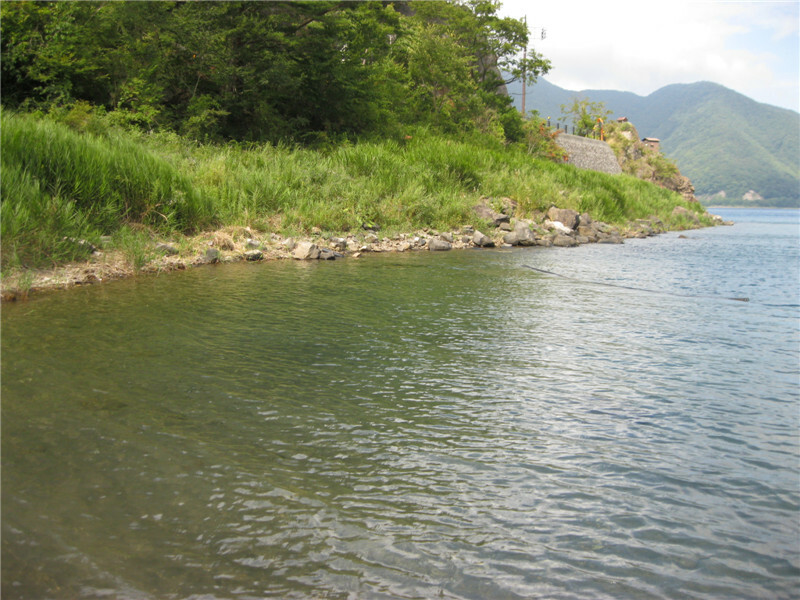 I want to enter into the water a little once if I’m told it is dangerous.